Experience unparalleled freedom, expansiveness and joy around the topic of health! In this session, we’ll join together and tap into the vortex where your “vibrant health” is already manifest. Then we’ll bring that energy back with us so that you can begin to operate fully “on purpose” and in connection with that energy field. 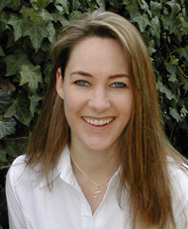 Elyse Hope Killoran is a Consciousness Catalyst who has spent the last decade utilizing cutting-edge technologies to empower people from all over the world with tools to create “prosperity from the inside out.” Elyse is the founder of the Prosperity Partnership Teleclass Program and the creator of the Online Choosing Prosperity Game. Since 2002, over 36,000 people have used this virtual game to shift their personal experience of prosperity. Being in pain is misery. You feel like you can’t escape it. It looms large in your mind, taking over everything. You can’t take a breath. There is no room for possibilities or for a future. You ache in your mind, your body, and your heart, and all too often, you feel alone in that pain, no matter the kindness of others. Which is why we often try to control our pain, get rid of it, understand it, remove it. Yet those well meant but misguided responses often lead to even more pain and even more separation. Join Col and Wendy Yellen for an experiential conversation about pain— pain in the body and pain in your consciousness— as you go to a unique and profound understanding of how your pain can take you places in yourself that are WAY beyond wellness. Wendy Yellen uses a unique modality that is at once ancient art AND ancient science. For more than 32 years, Wendy has been working with “Difference Makers” to accelerate reconnection to their true and real abilities. 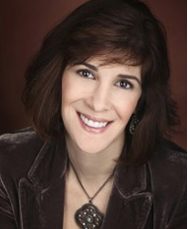 Wendy Yellen has been recognized internationally as one of the top 10 go-to practitioners in her field. The infinite intelligence, magic and power you long for is sitting right inside of you. Learn how to unlock the door to ideas, extreme joy, abundance and more fun than you’ve ever had. 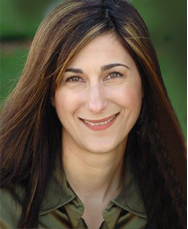 Jeanna Gabellini is a Master Coach who assists people to leverage fun, systems and intentionality for high-octane results. Jeanna’s coaching and seminars marry vision, divine guidance and proven strategies. You’ll ditch the mental merry-go-rounds and overwhelm and say, “HELL YES!” to fun, peace and prosperity! Jeanna is the co-author of Life Lessons for Mastering the Law of Attraction with Eva Gregory, Mark Victor Hansen & Jack Canfield. Bob Doyle dispels the misconceptions and myths about the Law of Attraction and offers a practical, easy-to-use program for creating abundance and happiness. Follow Your Passion, Find Your Power is a down-to-earth, no-hype approach to take control of your life and get the things you want. Bob makes it clear that the Law of Attraction is not a personal development tool you can use the right way or the wrong way; it’s a profound statement of how energy works in the universe. It has to do with paying attention, recognizing where you are, and going for what you want. It is all about passion, vision, and purpose. 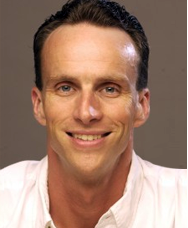 Bob Doyle is a featured teacher in the film phenomenon The Secret, author of the #1 Best-selling book Follow Your Passion – Find Your Power, CEO of Boundless Living, Inc. and a highly sought-after speaker and trainer in the area of conscious creation. Re-perceiving “Illness”: Your Body Is Flawless! You cannot fix a problem! As long as you see something “wrong” with your body, your body has to conform to that powerful instruction. That’s why making peace with your current physical status – no matter what it is – is the first step to healing. Indeed, your body is delivering you a huge gift with this “illness” or “disease.” Together we’ll learn how to see the gift of your “illness,” which also serves as the catalyst for change. 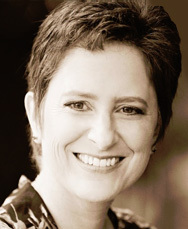 Jeannette Maw is a Master Certified Coach specializing in deliberate creation and founder of Good Vibe Coaching. She is the author of seven books including The Magic of Pray Rain Journaling and The Art of Self Love and contributor to Jack Canfield’s Life Lessons for Mastering the Law of Attraction. This session is about you, what’s behind any health issues you may be experiencing, and how to take charge of your healing. You’ll make energetic shifts and will come away with a new perspective and at least one tool you’ll be able to use over and over. Afterwards, as you align with your healing journey from the inside out, you may even find yourself taking life-changing inspired action in the ways that serve you best. Join us for this empowering visit into your Inner Being and experience the Self who is always, already healed! 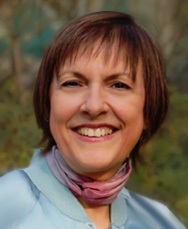 Roberta Alessandra, founder of myEnergyHeals, is a descendant of European wise women. 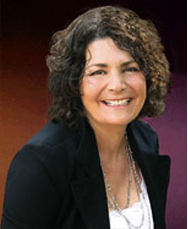 She is certified in Advanced Quantum-Touch, Body Mirror Healing, Theta Healing and Medical Hypnosis. Her coaching method, “The Door to Your Core,” puts you in charge of your healing and your life and is your personal magic bullet. What if your point of view creates your reality, and all the judgments and conclusions you have about your body lock in the limitations you have decided you cannot overcome? What if changing your point of view can create a totally different possibility for you and your body, and allow you to be the catalyst for change you truly be? Join Pam Houghteling as she shares the tools of Access Consciousness®, simple, easy, and effective tools to change what you haven’t been able to change and create the communion between you and your body that is actually possible. Pam Houghteling is a certified Access Consciousness™ facilitator who leads classes using Access energy processes, facilitating others to change their points of view about the planet and create transformation. Are you willing to be happier than you ever thought possible? Align With Your Higher WILL to Be the Brilliant Being You Truly Be! Are you aware that you can be programmed to feel bad? Many people go through life carrying heavy internal burdens and blockages that create feelings of emptiness, “depression,” fear and even physical illness. At some point these ways of being can even seem “normal,” as the innate ability that we all have within to heal and feel good is forgotten. Why? Because these innate abilities to heal yourself are dormant, hidden and buried beneath programs that cause you to feel bad, which you may not even realize exist. The good news? They can be unlocked, released and you can finally begin to heal. Yes, it is possible to feel good and joyful each and every day of your life! Quick, easy and effective ways to release unwanted feelings and thoughts and return to your center of joy and potency. How to tell what’s really, actually TRUE for you, and what’s not. Don’t underestimate the power of this knowledge! To question what you think and feel – and what you learn may surprise you! The true power of your will and how to engage it – it’s easier than you may think. The power behind a question – and how to ask the right kind to help you release burdens, blocks and ill-health and realign you with your True vibration of joy and vitality. Ways to engage your potency in such a way that burdens leave you forever. The power of forgiveness…for yourself, and why this is the only kind of forgiveness that matters. 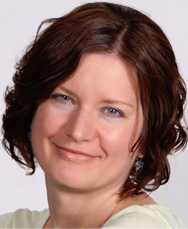 Kristin Ecklund is a Spiritual Healer and Channel, and Creator of SPIRIT SPEAKS and LIVE YOUR DESTINY. Her mission as a healer is to help you release vibrational blockages so that you are able to experience more joy, ease, grace and glory in your life! Most of us are in agreement that the mind and body are connected, and true health must encompass both. Emotional distress can manifest as a physical ailment, and medical issues certainly don’t help one’s emotional well-being. EFT (Emotional Freedom Techniques) or Tapping is an effective tool for clearing stress and other uncomfortable factors, thus enabling and promoting a deeper level of health and well-being. In this experiential presentation, you will learn a simple yet powerful way to nurture yourself in body, mind and spirit. 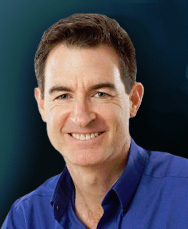 Brad Yates is an Emotional Freedom Expert who teaches people fast, effective methods to overcome fear and stress. He’s taught CEOs, professional athletes and award-winning actors and has more than 200 instructional YouTube videos. Brad is author of the bestselling children’s book The Wizard’s Wish and appears in the film The Tapping Solution.